The technology group Wärtsilä has been awarded an integrated 6 MW energy storage project contract for the Caribbean island of Bonaire which includes hardware and GEMS energy management software. The engineering, procurement, and construction (EPC) hybrid energy project includes both the hardware, consisting of batteries and inverters, as well as the GEMS the energy management software from Greensmith Energy, a Wärtsilä company. The order with ContourGlobal Bonaire, a subsidiary of London based ContourGlobal, was booked in Q4, 2018. “Wärtsilä was the best choice to realise integrated and optimised multiple generation assets” said Giorgio Narminio, Chief Operating Officer at ContourGlobal. 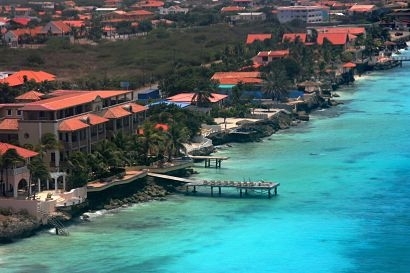 “Their advanced energy storage and software platform will increase ContourGlobal’s wind power production and solar generation energy in Bonaire. For several years Wärtsilä has been a reliable partner of ContourGlobal. Both companies have successfully worked together on other power generation solutions around the world. Wärtsilä’s track record is outstanding. It was also important to us that Wärtsilä is capable to deliver on a fast-track schedule”. Sampo Suvisaari, Regional Director, Latin America North at Wärtsilä added that the project is important for Bonaire and will increase the reliability of the island’s power system, with the proven capability of the GEMS software to control the microgrid being a key factor in this.